As an avid reader, I’m always keen to explore different genres of reading material, be it books or magazines. When I was introduced to Paul Callan - author of The Brigadier’s Daughter - by Dato’ Rosemarie Wee of Shangri-La Kuala Lumpur, I had no inkling Paul was a published author of 3 novels. I was pleasantly surprised when Paul emailed me to inform he actually left me a copy of his novel to be reviewed. The blurb on the back cover sounded intriguing from the get-go so I wasted no time in reading The Brigadier’s Daughter. The story of Jin, a young Chinese boy with a penchant for art who became infatuated and fell hopelessly in love with Stephanie, a Eurasian girl and daughter of the titular brigadier was set in a small town in colonial era Malaya. Recounted through a series of flashbacks, the poignant ‘coming of age’ and love story is interwoven with Jin’s present day circumstances as he grappled with his business and life challenges. I find Paul’s writing style pleasantly simple and makes for easy reading; each chapter rousing enough curiosity to spur readers like me fervently wondering if the star-crossed couple would find their happily-ever-after. 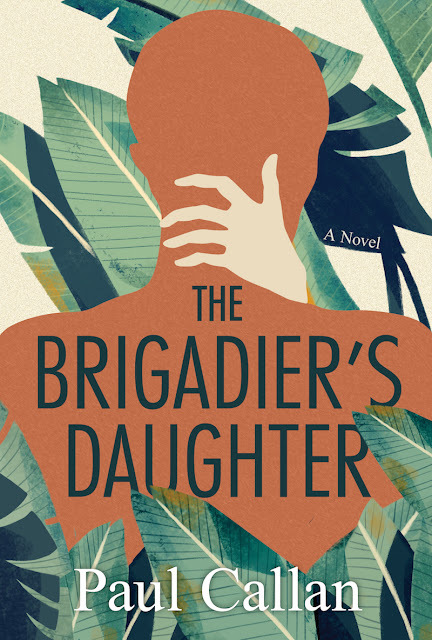 When I interviewed Paul for this book review, the author told me he penned The Brigadier’s Daughter to encourage more students especially teenagers and young adults to read. In the novel, Paul painstaking detailed Jin’s emotional state and feelings as an adolescent: his growing pains, his sexual awakening and constant yearning for Stephanie. Pertinent issues that should resonate with young readers and adults who may have forgotten their personal struggles dealing with puberty. Paul’s extensive research on local history is evident in certain chapters of the book. His fascination with Malaysia and its people stemmed from his marriage to a Malaysian. Born in Dublin, Ireland, Paul Callan was a London-based businessman who turned to writing historical fiction of Southeast Asia. Todate, his three novels are The Dulang Washer (MPH, 2011), Shadows Beneath the Fronds (MPH, 2013), and The Brigadier’s Daughter (Epigram Books, 2017). His research efforts are effortlessly interwoven into different parts of the book, in the form of anecdotes and nuggets of information. I particularly like Paul’s detailing of the erhu, a classic Chinese musical instrument and the preparation of Hainanese chicken rice. To understand these intriguing tidbits, you’d simply must read The Brigadier’s Daughter. Paul Callan now divides his time between his homes in Kuala Lumpur and London. He’s currently writing his fourth novel. Now excuse me while I go hunt down his earlier books to tide me over.